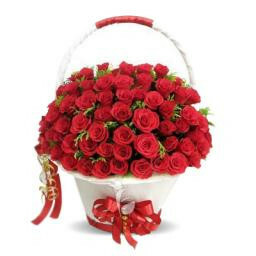 A white basket container of 70 red roses of your decision is a hot pick this season of adoration and sentiment! A stunning blending that will have somebody you love grin at the motion now and much after when s/he thinks back about it! A white basket container of 70 red roses.